With each passing day, Americans are becoming more mindful about the ways in which energy is being generated. Our nation's reliance on fossil fuels, coupled with the looming challenges of climate change, is giving rise to the movement to reduce our collective carbon footprint. And while many areas of the country find themselves behind the curve, Oregon has been at the forefront of decreasing greenhouse gas emissions through hydropower generation. 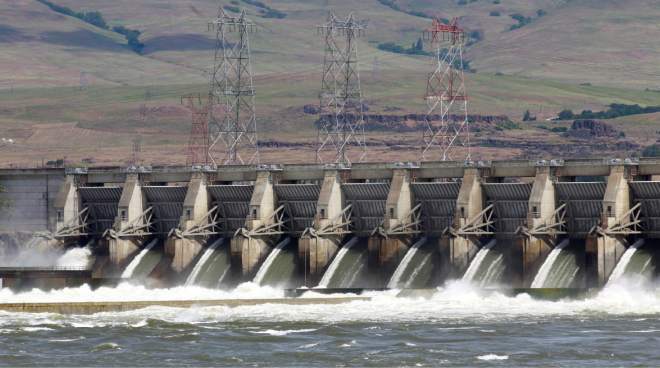 As such, it should come as a shock to few within the state that Oregon is one of the nation's leading producers of hydropower -- ranking second in the country. In fact, between 2011-2013, waterpower generated a whopping 63 percent of the state's energy from federal and non-federal systems. As a result, Oregon's household electricity prices are well below the national median. More importantly, Oregon continues to demonstrate to the country hydropower's potential as a clean, reliable source of renewable energy. Therefore, it is fitting that Portland is serving as the host city for the industry-wide hydropower conference, HydroVision International. Thousands of hydropower professionals from all over the world are converging on the city to discuss advancements in turbine technology, new solutions and best practices for fish mitigation, as well as innovations in marine and hydrokinetic resources -- harnessing waves, tidal, ocean and river currents for energy generation. And when it comes to innovation, Portlanders today are leveraging new technology from an in conduit system developed by Lucid Energy to capture energy as water flows through the city's pipes. While Oregon serves as the ideal backdrop for sustainable and affordable hydropower, it's important to juxtapose it with the rest of the country. Of the 80,000 dams dotted across the nation's landscape, only 3 percent (roughly 2,400) are equipped to generate power. And even though hydroelectric power is being produced by a small segment of facilities, they still manage to produce 7 percent of the nation's energy. At the same time, hydropower is helping the nation avoid over 200 million tons of CO2 emissions annually -- the equivalent of 42 million cars. Indeed, the potential for hydropower is real. According to the Department of Energy, we could increase our generating capacity by over 12 GW through the addition of power generation to non-powered dams -- enough to power over 4 million homes. The good news is that members of Oregon's congressional delegation have been champions of hydropower -- supporting the Hydropower Regulatory Efficiency Act of 2013, tax incentives for pumped energy storage and a national marine renewable energy research, development and demonstration center run by Oregon State University. As an industry, we are committed to operating in a responsible and balanced manner that protects and preserves natural resources and environmental values. And we are proud to be meeting in Oregon because it serves as model for how hydropower can effectively and sustainably reduce emissions, fight climate change and keep energy costs affordable for consumers. Terry Flores is the executive director of Northwest River Partners based in Portland.